Your daily commute is now more convenient and hassle-free with Simplygo! 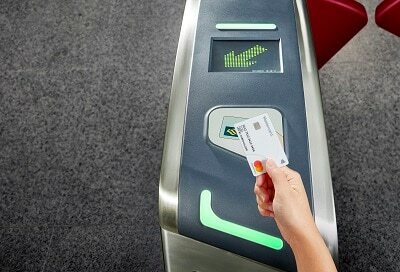 Simplygo is a new service that allows you to use your Standard Chartered Mastercard® Credit or Debit cards with contactless function for fare payments. No upfront top-ups. Just tap & go! From 4 Apr to 31 May’19, be the 1st 5,000 to register for this promo & get up to S$10 worth of free rides on buses and MRT when you tap & go with Mastercard. (Awarded in a form of cashback). T&Cs apply. Enjoy the convenience of tap and go on your smartphone. Add your Mastercard to your mobile wallet today! Start using your card or Apple pay, Google pay or samsung pay to pay for your rides. To be eligible for the Simplygo Free Ride Promotion (the “Promotion”) held from 4 April 2019 to 31 May 2019 (both dates inclusive) (the “Promotion Period”), principal cardholders of Standard Chartered Mastercard Credit Cards and Debit Cards (each a “Card”), with contactless transaction capabilities (“Eligible Cardholders”) must successfully register their Card(s) during the Promotion Period by sending an SMS in the format (as set out in the Promotion Terms and Conditions) (each, a “Registered Card”). If Registered Cardholders change or update their mobile number that is registered with the Bank (“Bank Registered Mobile Number”) during the Promotion Period, such Registered Cardholders will have to re-register for the Promotion under the new Bank Registered Mobile Number within the Promotion Period. An Eligible Cardholder must be within the first 5,000 Eligible Cardholders to successfully register for the Promotion to enjoy free rides on public buses and the Mass Rapid Transit (“MRT”) in Singapore (that meet the definition of Qualifying Simplygo Transactions as defined below)(“Free Rides”). The Bank will award cashback equivalent to the amount of these Qualifying Transactions (“Cashback”), subject to the Cashback Cap (as defined below). The maximum Cashback each Eligible Cardholder is eligible to receive under the Promotion is capped at S$10 (“Cashback Cap”). Qualifying Simplygo Transactions is defined as fare payments of public bus or MRT rides in Singapore transacted through the Simplygo service and charged to Registered Card(s) (“Qualifying Simplygo Transactions”). 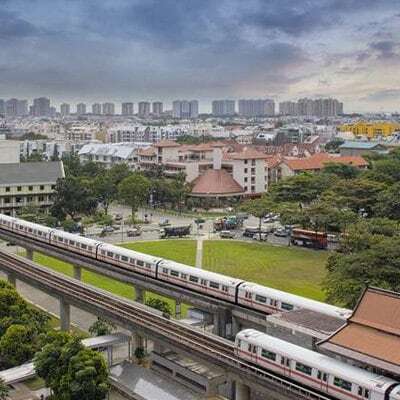 The Simplygo service is offered by Land Transport Authority (LTA) and Transit Link Pte Ltd (“Simplygo Service”). Find out more about the Simplygo Service at https://simplygo.transitlink.com.sg/. If the Eligible Cardholder has more than one Registered Card, all Qualifying Simplygo Transactions charged (that meets the definition of Qualifying Simplygo Transactions) on each Registered Card will be considered as Qualifying Simplygo Transactions which will be used to determine the Cashback amount for the Eligible Cardholder. For the avoidance of doubt, fare payment(s) made via the EZ-Link feature on your card as well as Qualifying Simplygo Transactions charged to supplementary cards of a Card account will not be considered as Qualifying Simplygo Transactions for the Promotion. Eligible Cardholders who have qualified to receive the Cashback will be notified by SMS no later than 31 July 2019. Cashback awarded under this Promotion will be credited to the card account of the Registered Card by 31 July 2019. If the Eligible Cardholder has more than one Registered Card, the Cashback will be credited to the card account of the Registered Card with the highest number of Qualifying Simplygo Transactions. Click here for the full Simplygo Free Ride Promotion (April 2019) terms and conditions that apply, including details on card eligibility and eligible/excluded transactions.